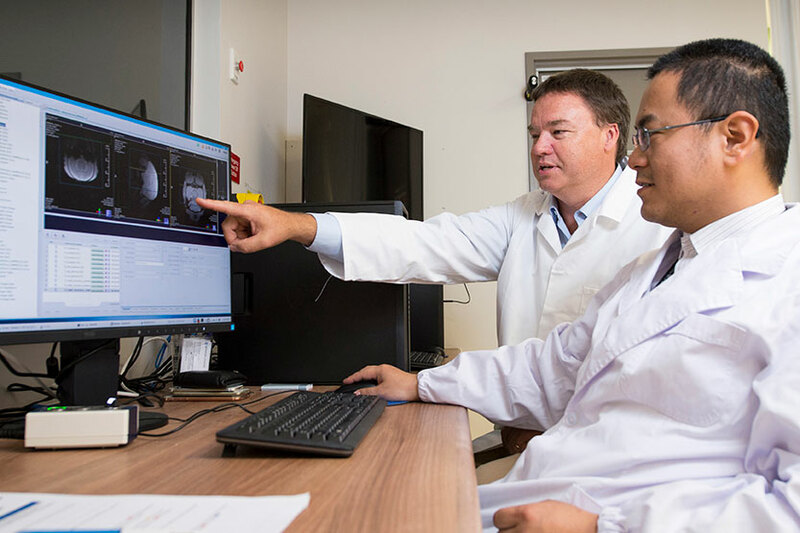 Monash Biomedical Imaging operates numerous preclinical imaging technologies designed to deliver imaging of anatomy, function, metabolic processes, disease states and pathologies in various species. Combined with our excellent technical expertise and ancillary support services, Monash Biomedical Imaging caters for a wide range of preclinical imaging needs. Monash Biomedical Imaging offers in vivo 3D-imaging using radioactive tracers (PET and SPECT) and fluorescence tracers (FLECT). These technologies are applicable for imaging metabolic disease, tumour progression and neurodegenerative conditions. Monash Biomedical Imaging operates high-resolution small animal 3D X-ray imaging computer tomography (CT) alongside our molecular imaging capabilities. CT is a versatile technology that is ideal for in vivo imaging of live, small animals, and can image bones, lungs and implanted medical devices. Our large CT scanner and small bore CT scanner offer a wide capacity for imaging, including digital archiving of museum specimens, mapping contrast enhanced soft tissue, oncology studies and investigating 3D structures. 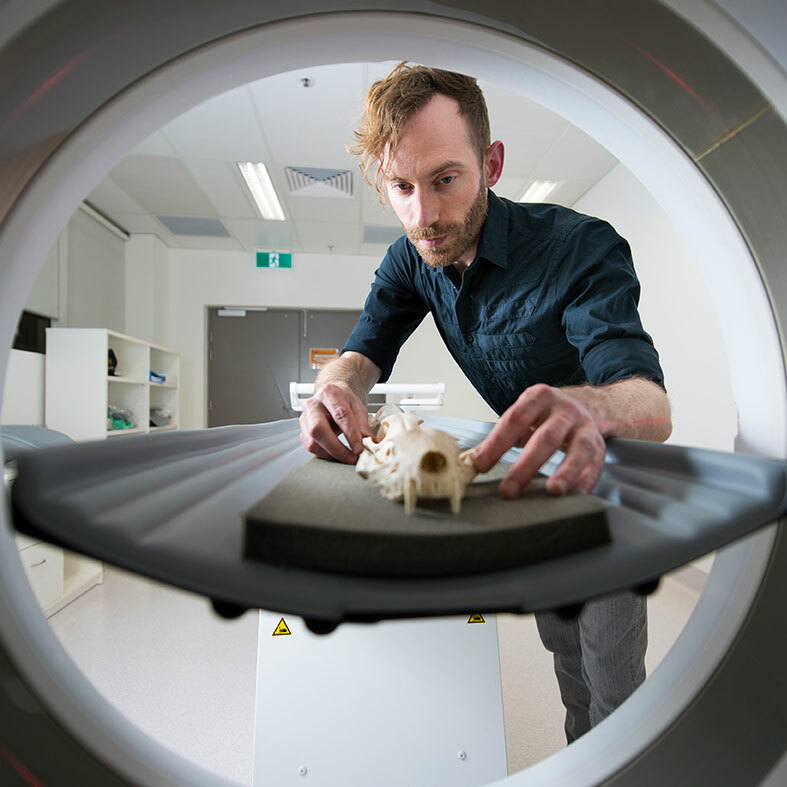 Monash Biomedical Imaging's high field small animal MRI scanners provide high-definition in vivo structural and functional imaging of internal organs and pathology. We also offer MRI scanning of large animals using our Siemens 3T Skyra. MRI research applications include stroke, oncology, neural tracing, oedema and fibrosis. Our small animal high-frequency ultrasound also offers excellent imaging and measurement of cardiac and blood vessel function and tissue perfusion. We provide excellent full-service studies for industry clients in our ISO-certified operating environment. These range from medical device imaging to cardiac metabolic measurements and longitudinal monitoring of oncology and disease progression. We can also embed industry researchers or students within the facility and train them in preclinical imaging methodologies. All work can be completed on a fee-for-service basis or a quoted project completion price. Led by Dr Michael de Veer, the Monash Biomedical Imaging preclinical research imaging team supports researchers from various disciplines, companies and institutions to use our range of imaging technologies. The team provides valuable guidance to enhance research project outcomes and aid with analysis of the imaging data that is obtained. Full operator training and technique and methods development are also available if required. For more information about our preclinical research imaging, contact us.